Free Online English lessons - How to ask, Give & Decline an advice? 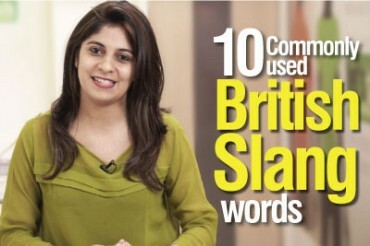 Hey Subscribers welcome to free online English lessons from Let’s Talk English speaking Institute in Mumbai. In this English lesson with Michelle you will learn how to give, take and decline an advice. In life we constantly need advice, or sometimes we are required to give an advice and sometimes we need to decline and advice, when people try to unnecessarily advice us. In this Spoken English lesson you will learn some useful English phrases related to advice. Oops! I got a tooth ache. What do you suggest that I should do? Come on quickly tell me, what would you do, if you were me and if you got a tooth ache, would you go to the dentist? I need your advice over this but are you looking for words to advise me? That’s really sad but I’m gonna help you with that because in this lesson, I’m going to tell you how to ask for advice? How to give advice and not just that, how to even decline advice. Stay with me, Michelle to learn more. So the first thing that we are going to look at in this lesson is the different forms of the advice. Do you know that advice can be used as a verb? Yes if I tell you that, I advise you to learn English it’s because you’re going to use that in your job application or for bagging good jobs. So here the word advice is acting as a verb because I’m giving it as an action. I advise you, so it is an action that I’m telling you, that I’m performing. So one way of using advice is as a verb. When you use the phrase, I advise you and I must tell you that once my father gave me a great piece of advice. He told me, never give up. When I use the phrase a great piece of advice, here the word advice changes its form. It becomes from a verb to a noun. Advice can also be used as a noun in the phrase, a great piece of advice. Some two common expressions that you can use to talk about advice are should or ought to. So if I say that you ought to admit your mistake, does that sound a bit rude? Yes that talks about a moral obligation or something that is morally correct. So if I ask you to accept your mistake that means that it’s a moral obligation. But if I say, children shouldn’t be allowed to watch too much TV, this one is an advice but the first one was a moral obligation. So should is one way of using or expressing advice. Now let’s quickly look at the phrases that we have on the board. So I asked you a question in the beginning of the lesson. I said I’ve got a tooth ache, what do you suggest I do? This is one way to ask for advice and it’s a very general question. But if I say, what’s your advice? That is asking your advice specifically. You might want to tell me a specific routine that I must follow when I ask you this question. So I could ask this question to a doctor or possibly to a dentist. I could ask him what what’s your advice doctor and he’d give me a set of routine that I must follow, a set of steps that I must follow. So this is a very specific phrase and you could ask this to a doctor in a more formal way. But the fits phrase where we say, what do you suggest is a more informal that you could ask from your friend. Let’s look at the third one. If you were me, what would you do? Here, you’re asking the listener to put himself in your shoe. You’re empathizing them; you’re asking them to feel what you’re feeling. So if I’m feeling the toothache, I’d say, I’m having a toothache, what would you do, if you were me? So here I’m asking you to experience my pain so I’m empathizing, I’m asking for empathy, asking for empathy. These three are some ways to ask for advice. Let’s look at the fourth phrase, why don’t you see the dentist? Am I asking for advice or am I giving advice here? Yes with this phrase, we have moved on from asking advice to giving advice. So if somebody asks you a question, I have a toothache, what do you suggest? You could reply, why don’t you see the dentist? That’s a general answer to a more general question. Let’s look at the next phrase; if you take my advice, so which one, which of these questions do you think this phrase answers the best? According to me, it answers the second question best. What’s your advice? If somebody asks you this question, what’s your advice, you could reply, if you take my advice, you should brush your teeth on a regular basis and you must also a mouth freshener to keep your gums clean. So this one is very formal and it’s the best fit for the second question, to give a more specific answer. Let’s look at the sixth one. If I were you, as you would have already guessed it, this is how you should answer this question. What would you do if you were me? You should reply, if I were you, I’d see a dentist ASAP, as soon as possible. So here, you’re empathizing with the speaker, which means that you’re trying to understand their situation and help them out with a solution. So these are three ways to give an advice. Now let’s look at these two phrases. I wish I could help, so if you’re really busy one night and one of your friends, needs some help for a project at work but you’re also very busy with an assignment and he asks for help but you’re not able to. You’re not in a situation where you could help him. So you’d reply, I wish I could help but I’m sorry I have loads of work to complete. So in this situation, you are declining an advice. Declining a favor or advice. Let’s look at the next phrase. I’m afraid I don’t know. So this phrase can be used in a situation where you are scared to answer the question. Maybe you’re too confused or you cannot give a specific answer. So let’s say that your cousin is asking you for a career advice, she says that she wants to be a guitarist and she wants to join professional training for that instead of graduate school. So what do you think is a suggestion? What would you suggest to her? If you’re not in a situation to suggest her, then you could say, I’m afraid, I don’t know. When you can’t suggest anything. Now let’s look at the last phrase that we have on the board, you’d better. What do you think this contraction stands for? Does it stand for you had better? Or does it stand for you would better? The interesting fact is, it can stand for both of them. If you’re talking about a past situation. So let’s say that you had invited some guests at home and you turned up late and your wife ended up hosting your guests. So the moment you reach home, she’ll say you’d better not come late. So she’s talking about a past situation that cannot be changed. You had better for a past situation. You would, you can use this phrase to talk about a future situation, you could say, you’d better obey your parents. So here you’re asking someone to obey their parents in the future. So you can use, you had for a suggestion in the past but you cannot change the situation and you would use you would for a situation in the future or for an advice in the future. So these are different expressions to ask advice, to give advice and also to decline advice. Don’t forget to use words like should and ought to that I shared with you and remember to use the word advice both as a verb and also as a noun. thank you so much for staying with me in this lesson, please come back again for another lesson with me Michelle, till then you take care, bye.